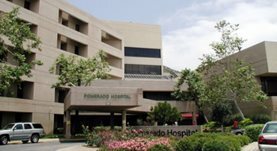 Dr. Dottie Ann Sazon graduated from the University of the Philippines College of Medicine and completed her fellowship program at the VA Greater Los Angeles Healthcare System. She is specialized in Pulmonology and board certified in Internal Medicine, Critical Care Medicine and Pulmonary Disease. 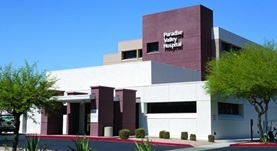 Dr. Ann Sazon has been in practice for more than 20 years and is affiliated with the Paradise Valley Hospital and the Pomerado Hospital. During her career, she has also contributed to 2 research publications. Dr. Dottie Ann Sazon has contributed to 2 publications. Sazon, D. A., Santiago, S. M., Soo Hoo, G. W., Khonsary, A., Brown, C., Mandelkern, M., Blahd, W., Williams, A. J.; Am J Respir Crit Care Med. 1996 Jan.
Hemoptysis as the sole presentation of Pasteurella multocida infection. Sazon, D. A., Hoo, G. W., Santiago, S.; South Med J. 1998 May.